As a comprehensive 10,000-acre master-planned community, Sienna Plantation is a community in the truest sense of the word. From new homes to established neighborhoods, it offers a lush, wooded landscape, lakes, green space and vibrant lifestyle, along with a wealth of recreational activities. 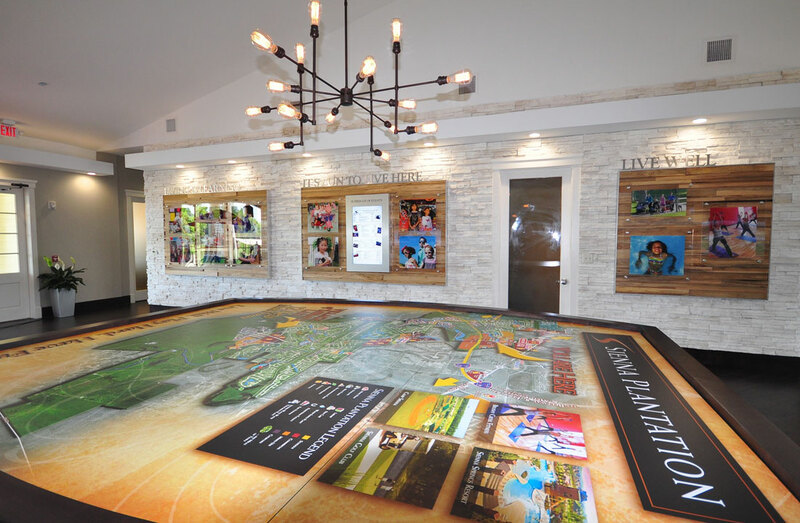 With an ongoing expansion and the addition of the Village of Sawmill Lake community, Sienna Plantation challenged 2020 Exhibits to engage prospective buyers with the total redesign, fabrication and delivery of their Homefinder Center. The texture, tone and beauty of the landscape take center stage with the creative design celebrating all that is Sienna Plantation. 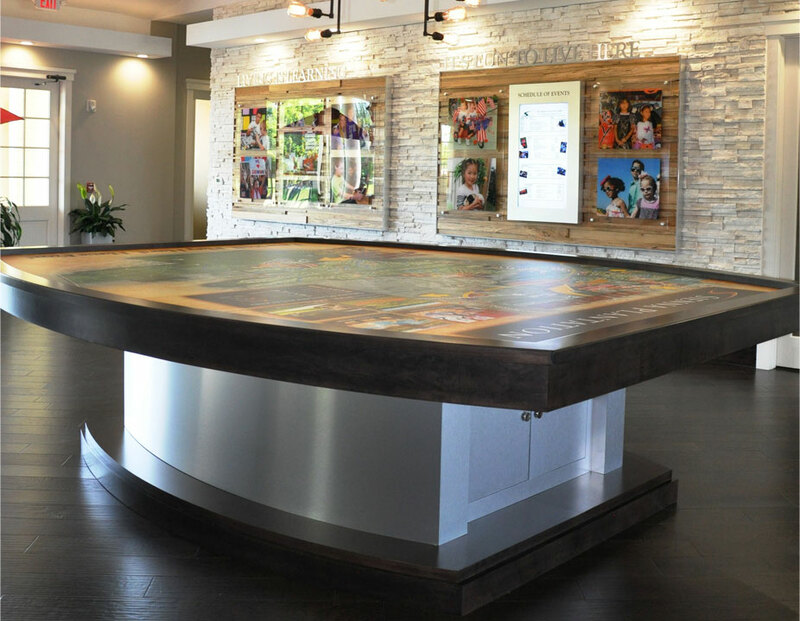 As a multi-functional environment, the newly refreshed 1,500 square-foot Homefinder Center design enhances comfortable viewing and communication. Bright, open and airy, the creative design adds depth and dimension with perimeter soffits, which add LED lighting and accent the space perfectly with a beautiful yet subtle wash of light. The space distinctively and subtly celebrates the brand, with a custom-fabricated dimensional Sienna Plantation logo prominently featured upon entry. Every design detail contributes to the feeling of luxury, including stone-stacked accent walls and the warm wood floors, reflecting Sienna’s natural landscape. 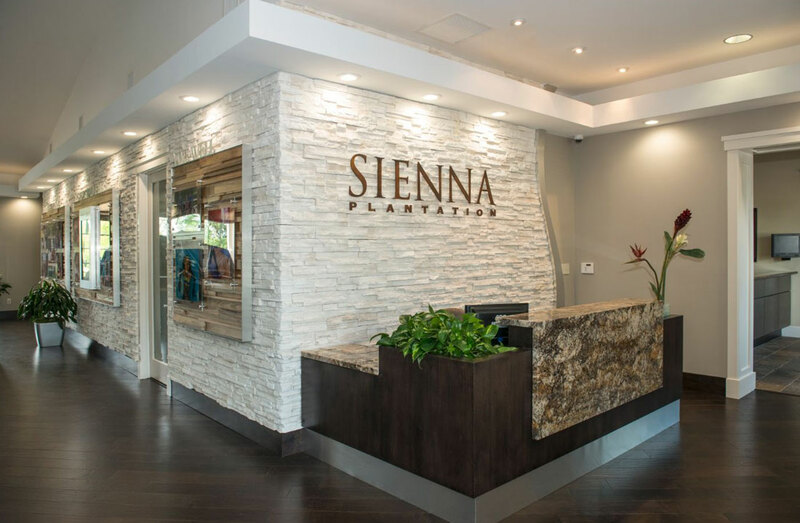 Engaging, custom-designed and printed wall graphics feel like a warm, welcoming embrace, capturing the true essence of Sienna. 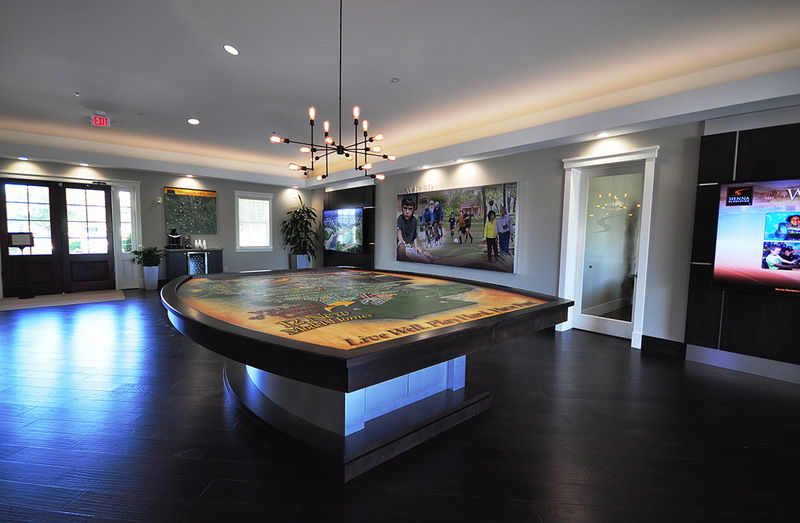 The space draws visitors to learn more through dynamic, state-of-the-art technology that allows prospective buyers to find community information with a single touch. 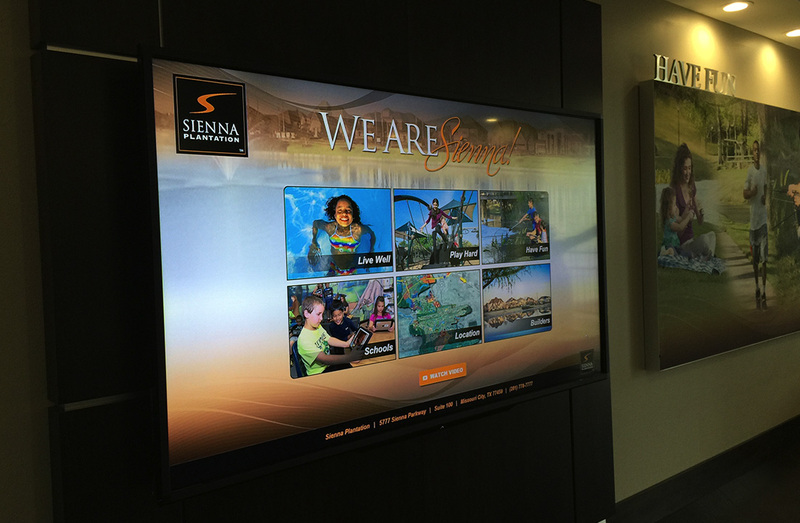 Experiencing the many ways to live well, play hard and have fun in the Village of Sawmill Lake, this custom-designed 90” interactive touch screen presentation is user-friendly, inviting and informative. 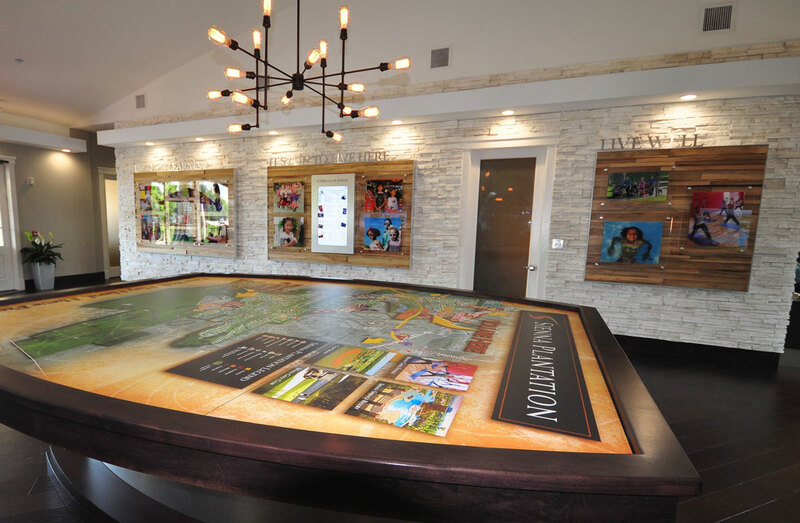 With maps and information about the Village of Sawmill Lake, visitors can learn more about the three on-site elementary schools, the Fort Bend County Independent School District and other details about the community. Welcome Home to Sienna Plantation.